I just got my LG Viper about 3 days ago and consistently the battery isn't lasting more than 4 1/2 hours with just having data on and texting only a handful of times. Is that just how that battery is on this thing or should I request a new battery? Other posts in here say don't use 4G to get good battery life. I just got my LG Viper phone and the battery goes dead after about 6 hours just sitting on standby - no use at all. I have charged it fully twice - the phone is useless to me if I can't even get a third of a day's use out of it. I had the same problem even with a new battery. I returned it, should get a Victory on Friday. Hoping for better results. I can occasionally get really good battery life, but even with all the advice I've given in other threads, there are times where the battery is downright terrible. In the last week I discovered that heat plays a major role. My normal car mount is on my dashboard and is non-removable, so when I was in Florida last weekend, I had to use a windshield mount. Even with the temps being in the low 70s, the sun hitting the windshield caused the phone to get very hot, to the point where the auto brightness went to basically 10% to presumably keep from shutting down. Even with the 3500 mah battery, I was getting barely over an hour of GPS navigation before shutting down. 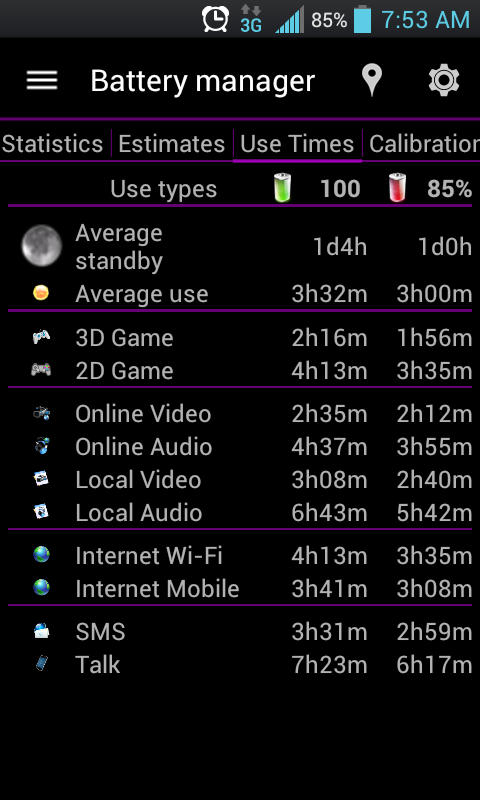 That all being said, I've got it being very stingy on battery life in normal conditions when not being used. I'm at 83% right now after 8h 41m. Maybe I should have thought twice about getting this LG. I have the HTC that couldn't keep a charge but a few hours even with a new battery so I gave up on it. I was hoping the L:G would do better. So, Sean, how did you get it to be stingy with the battery? Update: I am pleasantly surprised by the battery life on the LG. It holds a charge much longer than I expected. Sorry, I don't check this forum more than a couple times a week and I missed this post. I'm rooted, so I have extra options to tweak. The biggest help has been in managing the radio in ways that an unrooted phone cannot do. I use either the Xorware 2G/3G/4G/ Xposed module or Smart Network to change the phone to 3G when connected to Wifi, and back to LTE when disconnected. I typically have 0 bars LTE in my house (though it still connects and gets perfectly fine speeds if needed) and many other areas, so there is literally no need for me to be on LTE and having unnecessary battery drain. The second thing I did was add the Wakelock Terminator Xposed module to stop the hundreds of RILJ wakelocks that sap the battery. I'm not 100% sure what RILJ is, other than being a radio interface lock, and you'd expect it to be unsafe to block, but like the other tweak, there have been zero side effects so far. It still changes from 3G to 4G when it finds a better signal, it just doesn't go searching constantly. I disable fast dormancy as well, which was a bit more advanced, and unclear if it made any different. Amplify requires Android 4.1, but the old version of it NlpUnbounce 1.1.3 works with ICS, and I use that to limit the NLP wakelocks created by Google Play Services to once every 2 hours. On the screen side, my one change was simple and required no root. I use a third party auto brightness app like Velis Auto Brightness, Lux, or Yet Another Auto Brightness (YAAB) to manage the brightness. The stock auto brightness has a very narrow range when you adjust it in the settings. Put it at 0-60% and auto, and it is too dark in sunlight. Put it at 61-100% auto, and it is far too bright, especially at night, and I hated adjusting it several times a day to match the conditions. None of these require root and all of them have free versions but are worth paying for. Lux is my least favorite since it is the only one of the three that does not give you the option to remove the persistent notification. Any tweak I do to improve battery life will only be done under this condition: It can't decrease the usability of my smartphone, and it has to be something that I don't notice during regular use of my phone. Yeah I could use an app that shuts off Wifi/mobile signal/sync/whatever when the screen is off or the battery gets low, and that would save battery, but what's the point? It might as well be powered off at that point. 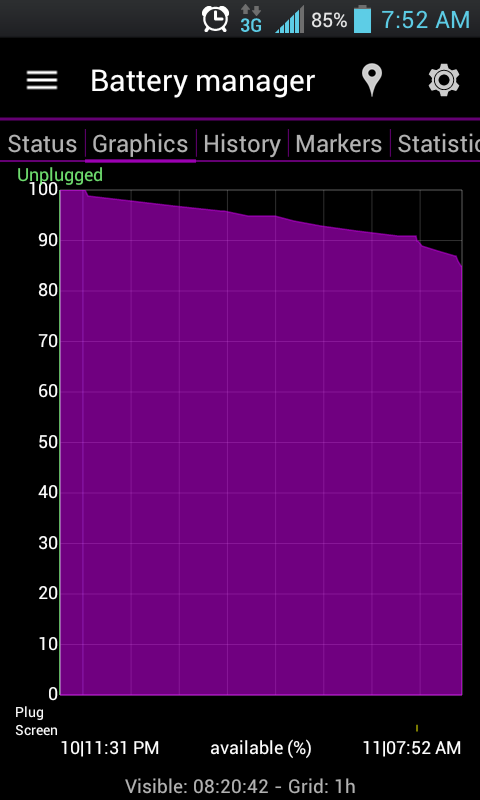 My LG Viper 4G will only hold a charge for 30-45 minutes max. I would like to trade-in this phone for something more reliable/user friendly. Right now, phone does not even turn on...it's been on the charger all afternoon. Very frustrating! !